This past spring, I was surprised to see that there was no planting, sowing or tending of plants and shrubs going on: the garden was largely left to grow wild. Only once in a blue moon, there was some activity. Bean stalks went up, corn was planted, and someone came to harvest the strawberries every now and then. By the end of summer there was a flurry of activity on Saturday mornings, when a group of six or seven people dug up the remaining herbs and eventually took down the shed. I struck up a conversation with one of the gardeners, and was told that the community garden was slated for demolition in November, along with the adjacent building, to make room for new construction. 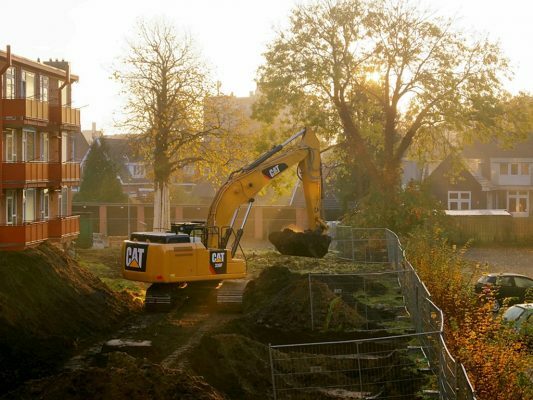 Well, November has arrived, and this morning a big CAT came along and dug it all up. Apart from the painting shown at the top of this post, I also did a plein air painting, which I’ll show you next time. It was so peaceful to sit in that garden and paint, and I did make another attempt later, but wasn’t happy with the result…:( Luckily, I did take lots of photographs over the course of the year, which I hope to use for a series of paintings of my beloved garden. Meanwhile, the people who were tending this garden have been offered a different plot of land elsewhere in town. They’ve already started a new garden there this spring. Yay! I’m so happy for them and hope to bike down there one of these days to see what’s growing. Quick reminder: there is still time to get your commission order in for the holidays, but don’t wait too long. Shipping can take up to a month overseas…! 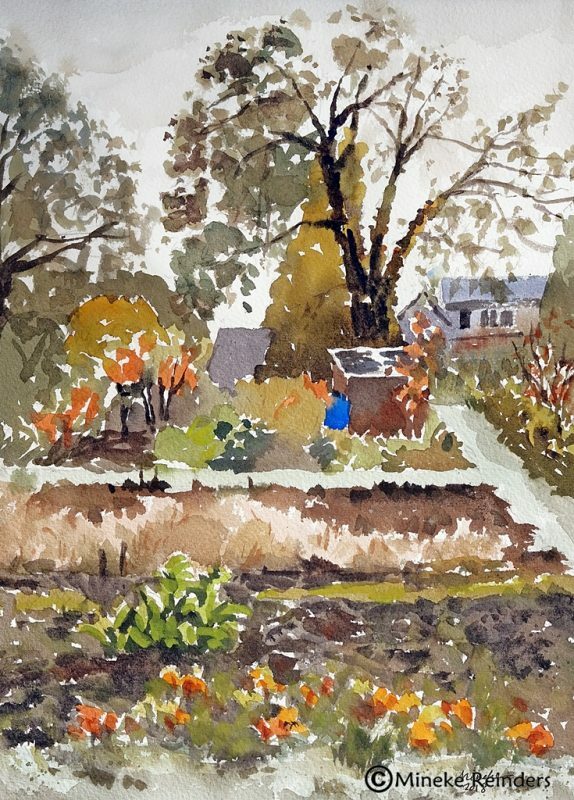 This entry was posted in Available art, watercolor, watercolors and tagged community garden, impressionist watercolor.